While there are several moving companies in the Peach Tree City, Georgia, area, there is only one Bulldog Movers. Since our founding in 1982, we have had an unrelenting pursuit to be the mover that locals know they can rely on for the best moving, packing, and unpacking services in the area. We have gone above and beyond to earn the satisfaction of each customer we’ve serviced, and have since earned numerous accolades, including an A+ rating with the Better Business Bureau and the Consumers’ Choice Award for nine consecutive years. There are many things that distinguish Bulldog from other moving companies in the Peach Tree City, GA, area. First and foremost, we’ve made sure to hire the best team possible. Instead of hiring applicants based on their sheer strength, we make sure that all of our employees have passed a thorough screening process, acquired years of experience working in the industry, maintain a friendly disposition, and will not smoke on the job. Plus, unlike other local moving companies, we use extra-large trucks that are equipped with advanced features that are meant to keep your items safe, such as air-ride suspension, air-ride brakes, and even GPS tracking. 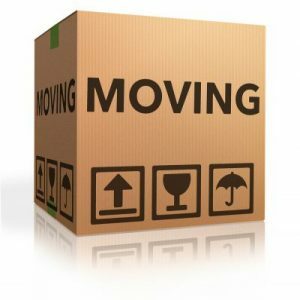 For additional information about why we stand apart from other moving companies in the Peach Tree City, GA, area, contact Bulldog Movers today.